The free, non-profit, online learning website, Khan Academy, has delivered 700 million lessons to kids and adults around the globe. 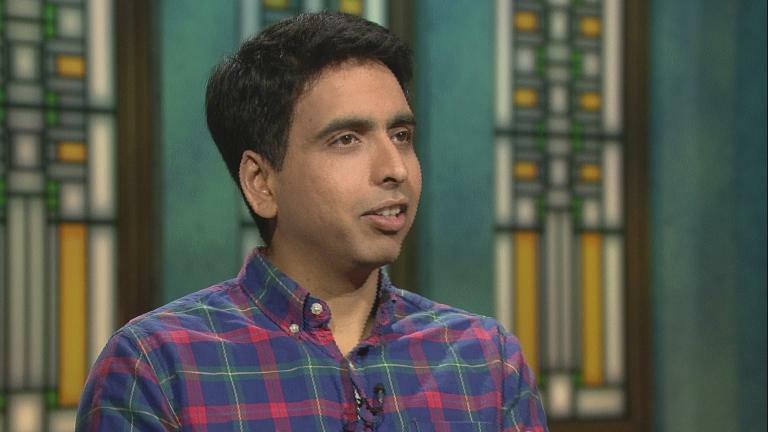 Its founder, Sal Khan, is taking Chicago by storm as he launches his newest initiative, LearnStorm, a math challenge that more than 30,000 local kids have already signed up for. Chicago Public School is partnering with Khan Academy and Hyatt Hotels Corporation for the challenge, which starts Jan. 29 and runs through April 1. The Chicago region joins Idaho, the San Francisco Bay Area and Ireland as participants. Khan founded Khan Academy back in 2006 after discovering that YouTube videos he made for his cousins to help them learn math were getting more and more viewers. The online learning website also has a YouTube channel that features lessons on subjects like math, grammar, chemistry, biology, economics and more. Khan has personally made thousands of tutorials. Here to give us our own tutorial on Khan Academy is its founder, Sal Khan. Below, some highlights from our conversation.